My intention in starting “Tiger in the Jungle’, was, as I did in “Pocket Paradise”, was to treat each leaf as a small meditation in itself. However, stress over money and unemployment does not facilitate a particularly Zen state of mind. So, I’m taking this very slowly. 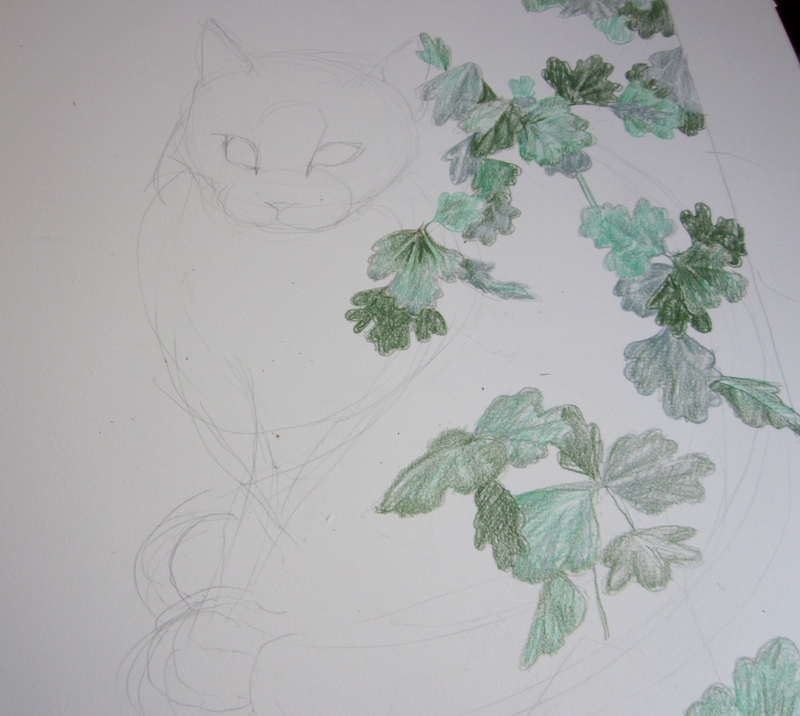 Otherwise, I’m going to end up with messy, sloppy leaves. I received my sales tax certificate, yesterday. That means, I can legally set up selling my work on the street. I do have some items I need to buy first…..a four foot table, mats, tarps, and more ink cartridges. Since no job seems to be forthcoming to pay for these…..Ouch, my retirement account. So, here’s a glimpse of the progress of “Tiger in the Jungle”.